Tucked into the rolling greenery of eastern Texas, Bullard is known for its emphasis on family values to aid in creating the perfect place to raise children. Its small town feel doesn’t hinder residents’ yearning for big city amenities with its close proximity to Tyler. Katima Estates in Bullard is known for spacious acreages, beautiful homes and quiet streets. Residents agree this neighborhood offers a countryside setting while still remaining a close knit community. 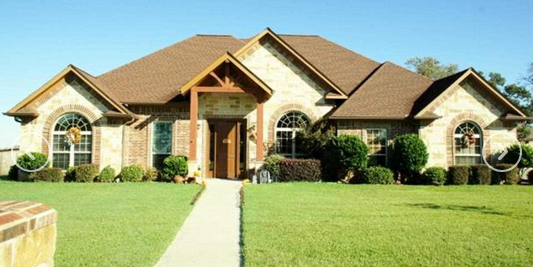 A short drive into town offers shopping, casual dining and direct access to Tyler, TX. If home buyers are seeking a small town with country charm, they won’t be able to find any place better than Bullard. Just a short 12 miles away in Tyler is the Caldwell Zoo. Spread over a scenic 85 acres, there are over 2,000 animals to see and learn about here. The African Savannah exhibit is home to lions, zebras and giraffes while the North American exhibit pays homage to America’s wildlife with muscular mountain lions, furry bison, rotund black bears and playful river otters. The zoo is open seven days a week, making it a convenient trip for Bullard residents. Tyler State Park is known for its thick Texas pine forests and glassy lake, perfect for fishing, boating and swimming. With eastern Texas’ warm and sunny climate, this makes a great year-round attraction for locals. The Texas State Park Store has year-round boat rentals as well as a variety of educational opportunities for children, including Junior Ranger Explorer packs. If families are looking for something fun and easy to do on weekends, Brookshire’s World of Wildlife Museum and Country Store is free to the public. More than 450 species of animals are on display in the building, ranging from North American mammals to South African birds like ostriches. A dolphin, porcupine fish and sailfish are also on display in the Aquatic Exhibit. Afterwards, visitors can visit the country store which is a life size replica of what a grocery store would have looked like in the 1920s. The store is stocked with a variety of goods typically bought in the 1920s such as lard, cured meats and rock candy. Bullard Community Library offers weekly story hours for young children every Thursday at 10:30AM. The library is very technologically friendly for its young patrons: computers are available to the public free of charge and there is a large DVD and CD collection available. Keeping with Bullard’s laid-back atmosphere, some of the most popular restaurants in this town are casual dining. Legends Burger Cafe has a delicious burger menu, filled with various types of sandwiches and toppings. They also have southern fare such as chicken fried steaks, smokey baked beans and crispy salads. Ribmasters BBQ is known for all-you-can-eat ribs on Friday and Saturday nights as well. They have a full array of traditional Texan barbecue, with turkey, chicken, pork and beef as well as sausages and hot links. Typical Southern desserts such as cobblers and pecan pie round out the menu.